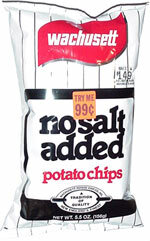 Taste test: Let's just say that salt on potato chips is a good thing. Really. One of our tasters said eating no salt potato chips was like eating mashed potato mix. I think these are better than that, but you definitely miss the salt with these, so you want to go out and grab a salt shaker and start sprinkling salt on these chips. Other than that, the chips are standard Wachusett style chips, good crunch and not too oily. You do notice the oil a bit more, because there's no salt. Smell test: Very strong potato smell, but can't smell the salt (because there is none). 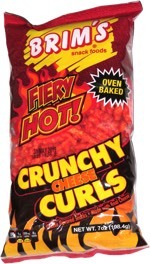 This snack was discovered by Keith and Melissa at Big Y.